Christchurch – One of the top 50 most influential women in UK tech, Clare Sutcliffe, is in New Zealand this week to emphasise the urgent need to prepare Kiwi children for the jobs of the future. Sutcliffe has been hosted by Code Club Aotearoa, a New Zealand tech volunteer charity trust built from the foundation organisation that Sutcliffe established in the UK in 2012. She received an MBE for her services to technology in 2015 after co-founding Code Club which is now a world-wide volunteer organisation teaching more than 120,000 children how to better understand and control the technologies around them. Sutcliffe is in Christchurch today meeting with tech industry and volunteers who are eager to explore the benefits and importance of giving primary school children the confidence to code. Sutcliffe believes the future of work means that many jobs will require the ability to understand and programme computers for one reason or another. To adapt to that changing landscape it is a good idea to learn new skills, she says. “The decision to introduce digital technology into the New Zealand primary school curriculum in 2018 is a very wise one, embedding computational thinking from early years means that the emerging citizens and workforce will be more appropriately trained for jobs of the future. Sutcliffe warns that everyone is responsible for teaching children important skills so that they can find their place in the digital world. It takes a village of people to achieve this, she says. Sutcliffe says she is impressed with Code Club Aotearoa’s unique approach and ability to adapt the UK-born concept and resources to meet the needs of New Zealand children. Code Club Aotearoa’s co-founder Michael Trengrove says the concept of Code Club is great because it is an easily replicable solution which prevents teachers and volunteers from having to be computer science experts to teach children to code. Code Club has seen huge growth worldwide and now has 8000 clubs in 120 different countries. Around 200 new clubs join every month and Code Club Aotearoa is also growing at pace. 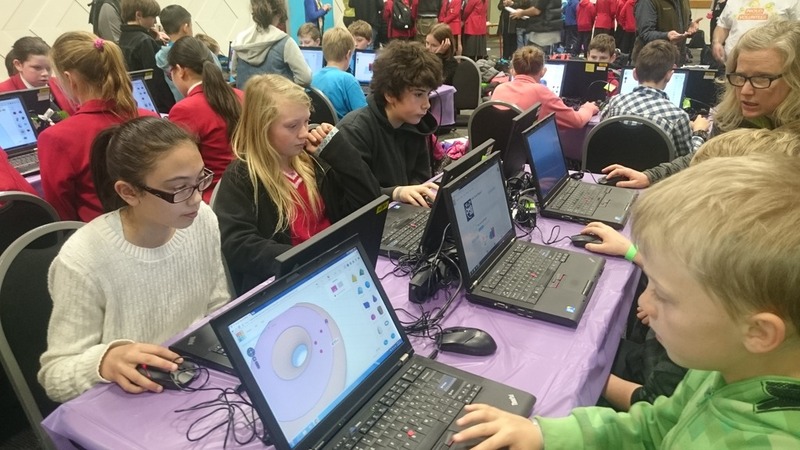 Only 23 percent of the tech sector are females but the New Zealand and UK Code Clubs are seeing a promising shift in gender balance among their primary-aged participants with 40 percent of attendees being girls.